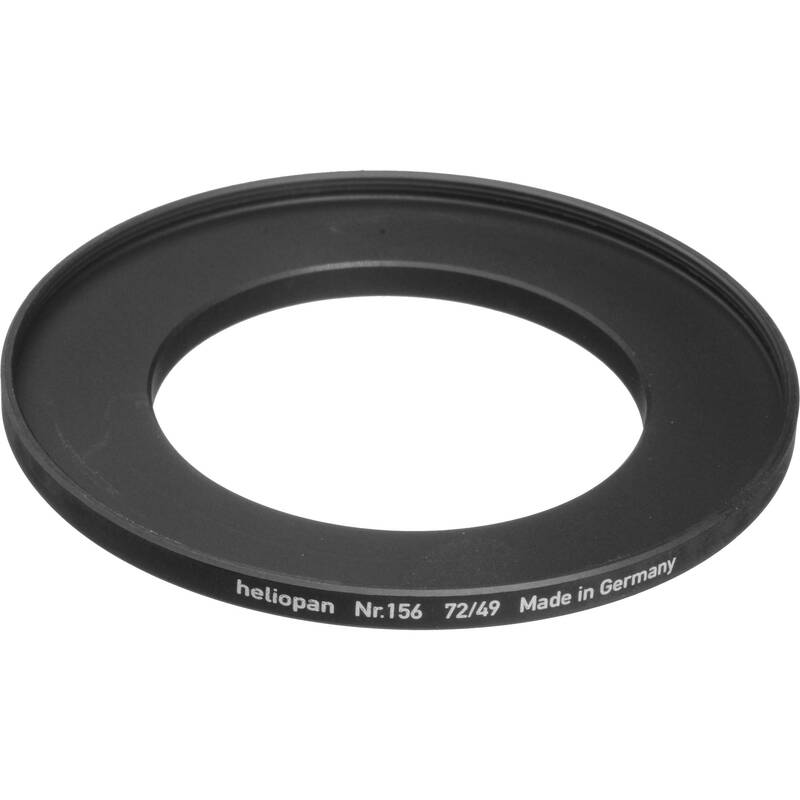 The Heliopan 49-72mm Step-Up Ring (#156) is a step-up ring permitting the use of 72mm threaded filters on a 49mm threaded lens. Constructed of matte black brass, Heliopan step-up rings are highly durable and longer-lasting when compared to aluminum rings. Efficient solution for use of one size of filters with various sized lenses. Matte black brass lessens chance of glare. Rugged construction for ease of use. Box Dimensions (LxWxH) 3.7 x 3.2 x 0.7"
49-72mm Step-Up Ring (#156) is rated 4.5 out of 5 by 2. Rated 5 out of 5 by Ken from Brass is worth the extra investment I had problems on the field with the cheaper aluminum rings, mainly with rings locking up at the worst times. Brass rings don't have this problem as much, but still happen and usually as a result of temperature changes. Heliopan is one of the few who offer the widest range of adapter sizes...very solid construction and no complaints. Rated 4 out of 5 by Jerold from Solid These step up rings are solidly built from brass. They weigh a lot more than the inexpensive aluminum rings. I also have the $ cheap rings but I ponied up for these because I needed something durable for travel. I would rather they cost less, but very good quality. The threads seem better machined also.